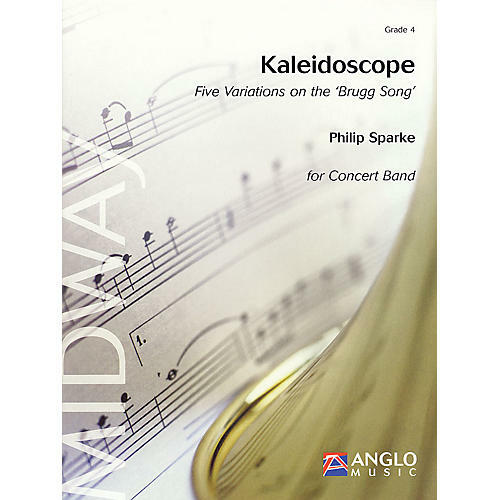 Kaleidoscope is a set of five variations of the 'Brugger Lied' (Brugg Song), which is the traditional song of the town of Brugg. The lyrics tell of the geography, people and traditions of this charming and historic town, which is situated in the north of Switzerland, near to the German border, about halfway between Basel and Zurich. Each variation is based on tiny extracts of the theme, the whole piece therefore resembling the effect of a kaleidoscope, which juxtaposes small fragments of color in a constantly changing pattern.